Condition: Item in very good physical and working condition. Was Mission's top flagship model. 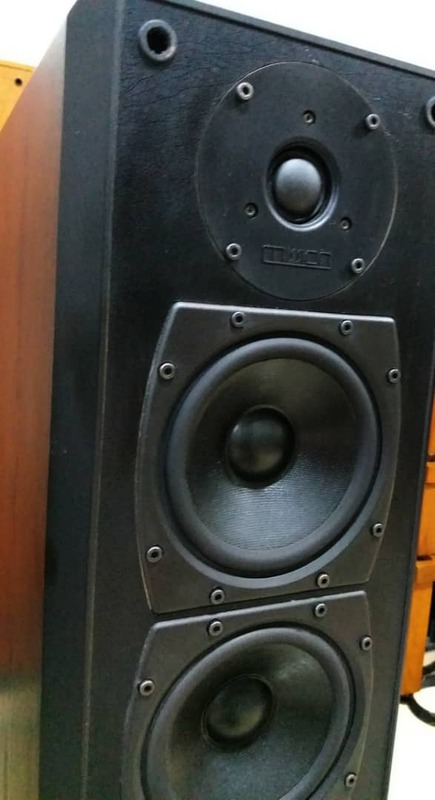 This is a collectors item now where most hifi shops using this as reference speakers for auditioning their audio system. 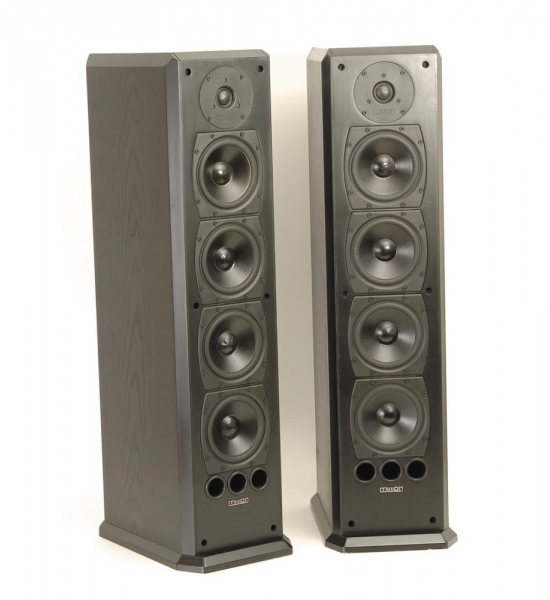 Four identical 130mm (5-1/4 in) cone low frequency units are used, two for the extreme LF and two for the bass/midrange, plus a single 25mm (1 in) dome tweeter. The 875mm high cabinet is made of medium density fibreboard (MDF) throughout and is internally braced by MDF partitions, with the bass/midrange drivers and tweeter given their own sealed enclosure at the top whilst the LF drivers work in a reflex-loaded compartment at the bottom. 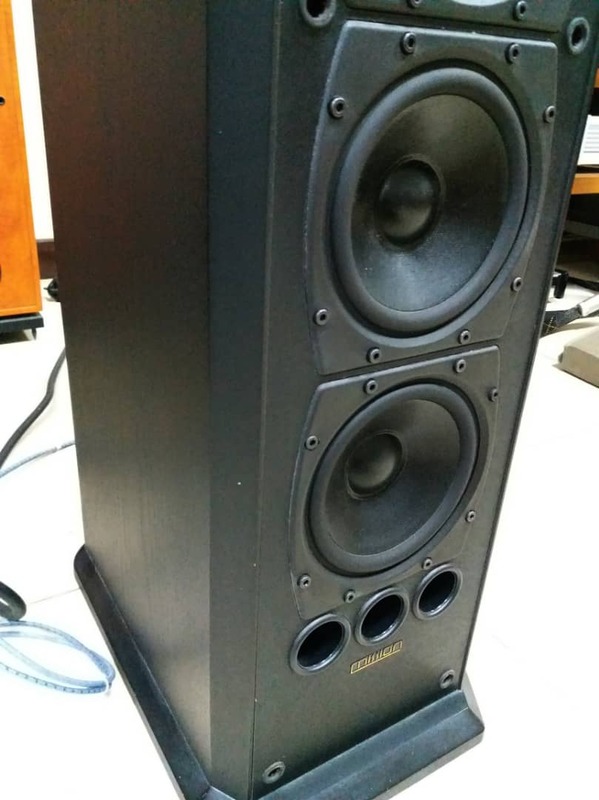 Very heavy and well build speakers. Made in England model.